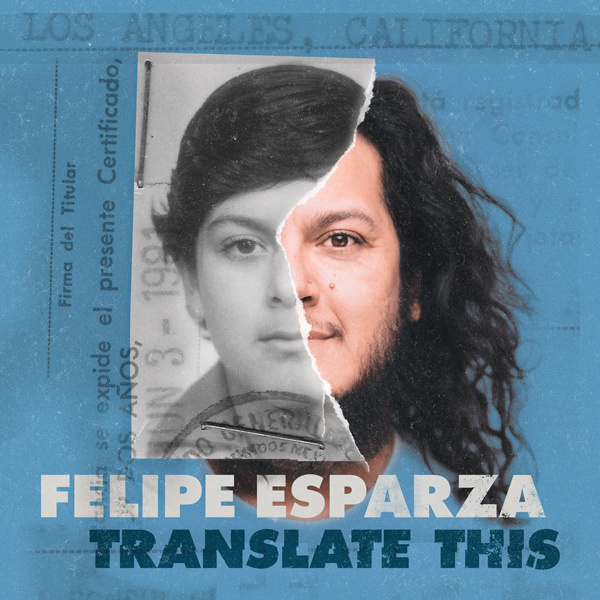 "FELIPE ESPARZA: TRANSLATE THIS," the very first HBO comedy stand-up special from the comedian who is widely known for his hilarious antics of growing up in East Los Angeles and which aired on the network on September 30, will be released by All Things Comedy Records digitally alongside a very limited-edition vinyl album on Dec. 1. The special was shot at the San Jose Improv in San Jose, CA and sees Esparza humorously discussing topics such as immigration, translating for his parents, being a once-not-so-great single dad while dating single moms, his current challenges in raising his blond-haired, blue-eyed stepson, and more. Fans will also be able to purchase one of 500 numbered vinyls exclusively on FelipesWorld.com, which will be a double album that will feature a full hour of audio, poster and a digital download card. “I am very excited to release this album! It is a much more personal hour of stand-up, that truly covers most of my life. I dig further into my personal experience as an immigrant, my past life as an addict, a not-so-great father, my new life as a recovered addict, a husband and a stepfather living a domesticated life while still being a little wild inside” Esparza said. The digital album will be available for purchase on Spotify, iTunes, Apple Music, Google Play, Amazon and Tidal. Select tracks will also be available on the leading streaming sites, including Pandora, Deezer, Tidal, YouTube Music, Microsoft Groove, ClaroMúsica, Saavn and MediaNet. For fans who want to see him in-person, Esparza will kick-off his “Bad Decisions” tour on Dec. 8 where he will explore his past tough decisions with comedic flare. Tickets are available on FelipesWorld.com. For the latest news and to hear from the man himself, you can follow Felipe on Facebook.com/FelipeEsparzaFanPage, Twitter @funnyfelipe, and Instagram.com/felipeesparzacomedian.